If you’ve ever used Outlook Express, Windows (Live) Mail, Thunderbird, Lotus/IBM Notes or basically any mail client other then Outlook, chances are that you have some eml-files stored somewhere as well. While Outlook does support opening eml-files, it doesn’t offer a way to import them into Outlook. This guides contains instructions and 2 scripts to import eml-files into an Outlook folder of your choice. For many, the Calendar in Outlook is a crucial part of their day and for future planning. To make sure you can rely on it, there are a couple of do’s and don’ts. Especially when it comes to the handling of meeting requests, or when having delegates assigned to your Calendar, or when you are a delegate yourself, there are a couple of important things to be aware of. Failing to do so, could cause your Calendar to become out-of-sync or produce corruptions which can cause Outlook to crash whenever you try to do anything with your Calendar. The Conditional Formatting feature in Outlook allows you to get organized by automatically color coding your Emails, Calendar items, Contacts and Tasks without the need to apply a Color Category to it or move them to different folders. The color coding isn’t just intended to emphasize certain emails but it can also be used to deemphasize certain emails such as newsletters or emails you are only a CC or BCC recipient of. Show unread emails in a blue and bold font. Show expired emails and completed tasks in a grey and strikethrough font. Show overdue emails and tasks in a red font. The “Conditional Formatting” feature may look complex at first but creating color coding rules is actually fairly easy and quite powerful when used the right way. This guide will help you on your way to get yourself familiar with the Conditional Formatting options with 8 color coding examples which might be useful to you as well. Conditional Formatting usage in the Message List. Support for the Office 2013 versions of Office 365 has ended and are no longer being offered for download in the download sections of Office 365 Home and Office 365 for Business. If you still have it installed, you will receive Security Updates until April 10, 2023. You are connecting to Exchange 2007. Your company hasn’t properly published Autodiscover in their Exchange 2010, 2013 or 2016 environment so you must resort to a manual configuration which isn’t supported in Outlook 2016. You are using Business Contact Manager 2013 and are not yet ready to use Outlook Customer Manager or migrate to another CRM solution. You have a dependency on some other software that isn’t yet compatible with Office 2016. When you still need to (re-)install Office 2013 as part of Office 365 for whatever reason, you can still download it by using a direct link or by using the Office 2013 Deployment Tool. The Autodiscover service is a required service for Outlook-Exchange connectivity since Outlook 2007 and Exchange 2007 but for whatever reason, in some Exchange environments this still hasn’t been implemented correctly. In some part, this was due to the fact that you could still get basic Outlook-Exchange connectivity by using some legacy Exchange 2003 RPC over HTTP dialog in Outlook. This (unsupported) method now no longer works in Outlook 2016 due to the removal of this legacy dialog since Outlook doesn’t support Exchange 2003 anymore since Outlook 2013. Unfortunately, this leaves enthusiastic Outlook 2016 users disconnected when Autodiscover hasn’t been provisioned correctly by your company. This guide contains some reasonably quick and easy and some less elegant methods for end-users but also for Exchange administrators to get your Outlook connected to Exchange again. All discussed solutions are fully supported configurations by Microsoft and do not require any changes to Exchange or the need for a new SSL Certificate. When configuring your Gmail account in Outlook (or other mail clients such as Thunderbird and Mail apps on (older) smartphones), you might run into continues password prompts or sync errors. 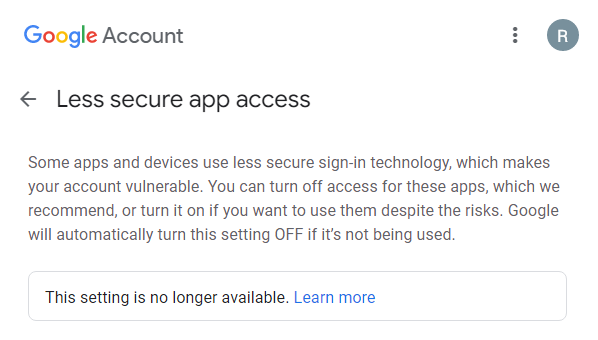 This is because Google has turned off Basic Authentication by default for all new accounts and accounts which haven’t synced within the last 30 days and only lets you authenticate via the OAuth 2.0 standard. As a result, you’ll get Send/Receive errors (0x800CCC0E) and could get prompted for your Gmail password again in Outlook and the login will fail even when you supply the correct password. To solve this, you must re-enable Basic Authentication for Outlook in your Google Account Settings. This can be done via the “Allow less secure apps” page where you set it to “On”. By default, Basic Authentication has been turned off in Gmail. Another way to go would be to enable “2-Step Verification”. This is a bit more work but also quite a bit more secure and highly recommended. When you use this solution, you can create a special “App Password” which you’ll then use within Outlook to logon to Gmail rather than using your regular password. For step-by-step instructions to set this up see: Outlook and 2-Step Verification for Gmail accounts. 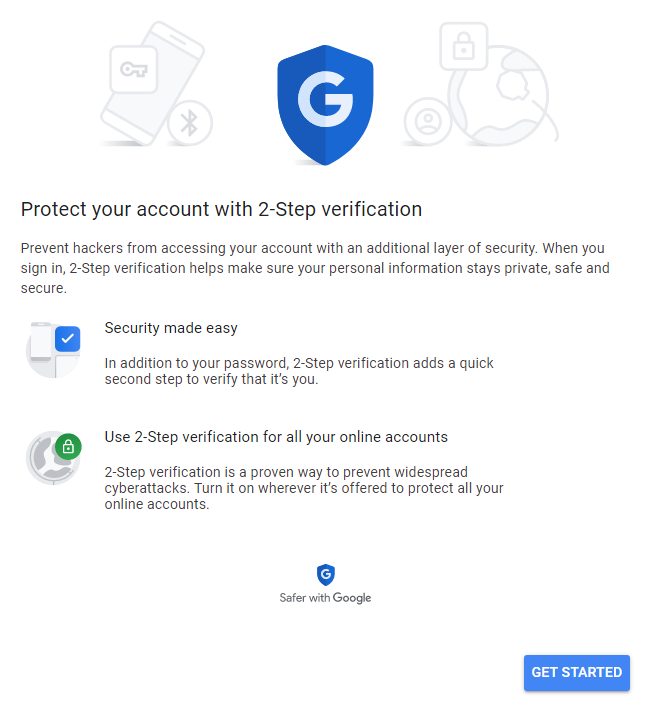 Secure your Gmail account with 2-Step Verification. Native support for OAuth 2.0 in Outlook (2016/2019/365) is being worked on but nothing has been announced yet. Strictly speaking, it is a March update as they were a little late to release the 1902 update of Outlook for Office 365 (Monthly Channel). However, because of the version number and as we most likely get another feature update later this month, it still makes sense to refer to this update as the February update. Additionally, note that Microsoft Teams is now installed by default as well for new Office 365 ProPlus installations. Microsoft Teams will not be installed automatically when “merely” updating. Note: Depending on your installation type, this update can be installed via the Microsoft Store or the Update Now button in Outlook itself and updates Outlook to: Version 1902 (Build 11328.20146). Support and additional fixes for the new Japanese era and holidays. Assume that you set a rule to create and move a copy of a sent email message into an Outlook Data Files (.pst) file. After you send an email message, the sent email message is unexpectedly saved as an unsent draft email message in the PST file. When you interact with the “Attachments” tab, Outlook intermittently crashes. 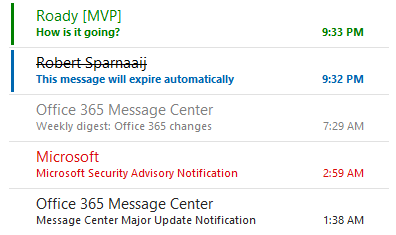 Email messages are incorrectly grouped after you swap time zones in Outlook. This issue occurs when Outlook interacts with some add-ins and certain custom Visual Basic for Applications (VBA) scripts. You can’t reply to some email messages that have the “Do not reply all” policy applied. Note: This update can be installed via Microsoft Update and updates Outlook to version 16.0.4822.1000. This update does not apply to Perpetual and Office 365 based installations of Office 2016. A Rollup Update has been released for Outlook 2013. This is a non-security update which contains 2 documented improvements and fixes. Assume that you create a rule on a Public Folder based on the “From” address. When you view the rule in the Folder Assistant dialog box, the email address is not displayed and only “From:” is displayed in the rule condition. This update also enables Outlook 2013 (64-bit) to use the new Japanese era abbreviation when the new Japanese era is available. Support for the 32-bit version is coming soon. Note: This update can be installed via Microsoft Update or the Update Now button when you are using Office 2013 Click-To-Run and updates Outlook to version 15.0.5119.1000.